Scientists have delved into Major League Baseball's rich trove of statistics for insight into base-running, the lefty advantage, and bench-clearing brawls. Baseball season is upon us, and so there's no better time to note what science has learned about the game. Advanced statistical analysis has changed how the game is played and managed, with its ability to show that a particular batter hits just .179 in night games in the Central time zone when it's bobblehead night at the stadium. But scientific studies have gone deeper than pitcher-batter match-ups and discovered some curiosities about the game—and instances where the conventional wisdom the Baseball People have uttered for a century just isn't so. There's no secret about the proper path to first: a chalk line marks the way. But, if you know from the crack of the bat that you're headed for second, then math professor Frank Morgan says you should pay that line no mind. When Morgan modeled Major League baserunning, he found that most runners make an error when running out extra-base hits. While going to first, they wait too long to curve a little to the outside of the baseline (you want to come into first base at an angle so you can round the bag). If runners start to curve to the outside as soon as they set off for first, Morgan found, they wasted less time and energy and make it to second base faster. Of course, you can't veer so far out that you're way outside the baseline and get called out. But Morgan says you can follow his tactics and still stay within the rules. In 90 percent of the siblings studied, the little brother attempted more stolen bases than the older brother, seemingly living up to the "risk-taker" tendency of younger siblings. Home-field advantage isn't just about knowing your ballpark's quirks, or sleeping in your own bed. It's also about keeping your circadian rhythm right. With all those MLB teams flying around, sleep expert Christopher Winter wanted to know if jet lag throws off performance. So in 2008 he looked at travel patterns of teams, figuring it took them one day to adjust fully for each time zone traveled. He found that most of the time, the opposing teams are equally adjusted to the time zone in which they're playing. But when they're not, the advantage emerges. If one team has the adjustment advantage by a day or two, the benefit is small: They win 52 percent of the time. But, if one team has a three-day advantage over another, they win 60 percent of the time. So, if the Angels fly across the country to New York to play the Yankees (who are already adjusted to Eastern time), it's advantage Yankees. For the first game, at least. Christopher Winter followed up his study of circadian rhythms by trying to find out whether a person's sleep preference affected his pitching performance. So he picked out 18 pitchers, adjusted for talent and for any jet lag effect, and studied more than 700 daytime innings and 800 nighttime innings they threw last year. He also had those pitchers fill out a questionnaire to determine whether they were morning or evening people. The morning people had a lower ERA during games that started before 7 p.m. (the standard start time for an evening game)--their average ERA was 3.06, compared to 3.49 for the night owls. The reverse was true of night games, though the effect was less evident. So perhaps the Chicago Cubs should dig up some rise-and-shine types to pitch all those afternoon games at Wrigley Field, while the New York Yankees would be better served by a staff of night owls hurling those never-ending games against the Red Sox. The first rule of little league is: Keep your eye on the ball. The second rule of little league is: Keep your eye on the ball. If you played as a youngster, then you heard the refrain over and over. The problem is, you can't--at least not at the Major League level. When the ball approaches the plate it's simply moving too fast for the human eye to track. So hitters pick out where they expect it to be (which is trouble if you get a curve instead of a fastball). The old saying that the ball looks bigger when you're in the zone? There's something to it. When she was a grad student, Jessica Witt, now of Purdue University, sought to study (pdf) whether players perceive the size of the ball differently based on their recent performance. Outside some softball fields, Witt gave away sports drinks in exchange for something more valuable: information. She wanted to know how the players hit during the game, and she asked them to look at a board with various circles close to the true size of a softball and pick out which circle was correct. Players fresh off a great day at the plate, she found, pointed to the larger circles, while those who had struggled at bat tended to point at smaller circles. You know the routine: Somebody gets plunked on the arm by a fastball, the other side retaliates, and soon everybody comes running from the dugouts and bullpens to push and shove. What you may not know is that it's more common on hot days. Our friends at NCBI ROFL dug up a paper that studied the number of batters hit by pitches during games from 1986 to 1988. The researchers found a close relationship between increasing temperature and increasing numbers of plunked batters. Perhaps the hot weather gets under pitchers' collars. Or, maybe by the time the dog days of summer roll around, teams have played one another enough times to get the bad blood going. 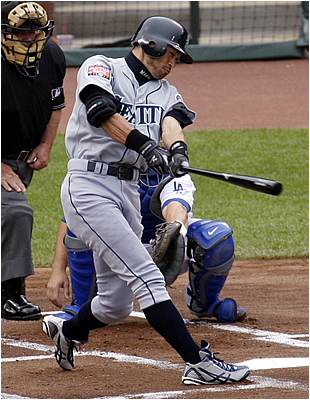 While a righty's swing pulls him toward third, a lefty's swing takes him toward first (allowing Ichiro to be well on his way by the time he hits the ball). The short right fields in stadiums like Boston's Fenway Park are particularly inviting to power-hitting lefties. Because so many teams employ great left-handed hitters for that reason, left-handed specialist pitchers for the bullpen stay in high demand. Also, lefty pitchers face first base, allowing them to hold potential base-stealers. Most astute baseball fans are aware of all these items individually. But collectively, they mean that the structure of the game makes it advantageous to be a southpaw, engineer and baseball fan David Peters argued in 2008. Curveballs Aren't Bad for Young Arms? The statistical nature of baseball makes it possible to test many of its most trusted axioms against real empirical data, and this one is a classic example. Because throwing a curveball exerts so much torque on the elbow even for Major League pitchers, conventional wisdom holds that it's risky for young pitchers to start throwing breaking balls. But last year, when separate research teams decided to check whether this truism is indeed true, they couldn't find the effect. Monitoring the arms of 9- to 14-year-old pitchers in simulated games, they found that curveballs stressed the elbow less than fastballs. Glenn Fleisig, who led one study, said that if there's a danger to young arms, it's the long games and long seasons. It's not that curveballs destroy young arms, ESPN the Magazine wrote in a follow-up. It's that kids who can throw a mean curve and dominate the opposition get put in the game too often--or stay in the game too long. All this led to a kerfuffle on the sports talk circuit, including some indignation that the researchers would dare defend the dreaded curve. 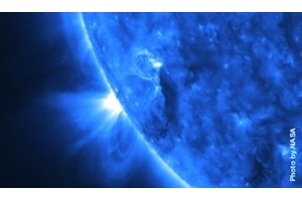 As the scientists found out, it can be treacherous to go against preconceived notions.